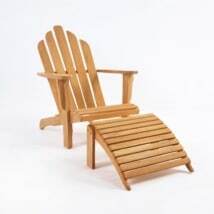 When it comes to comfort and relaxation, look no further than the outdoor wicker Zambezi club chair and ottoman combination. This over-sized yet sleek club chair is wide and luxurious and the ottoman is just begging to be used. 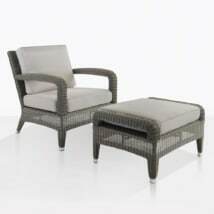 Club Chair: W41" x D37" x H32" Ottoman: W41" x D28" x H17"
The Zambezi patio wicker chair and ottoman are made with durable Ecolene® wicker and powder-coated aluminum. These materials make these pieces strong and weather resistant. They are lightweight so that you can easily arrange your furniture wherever you like. 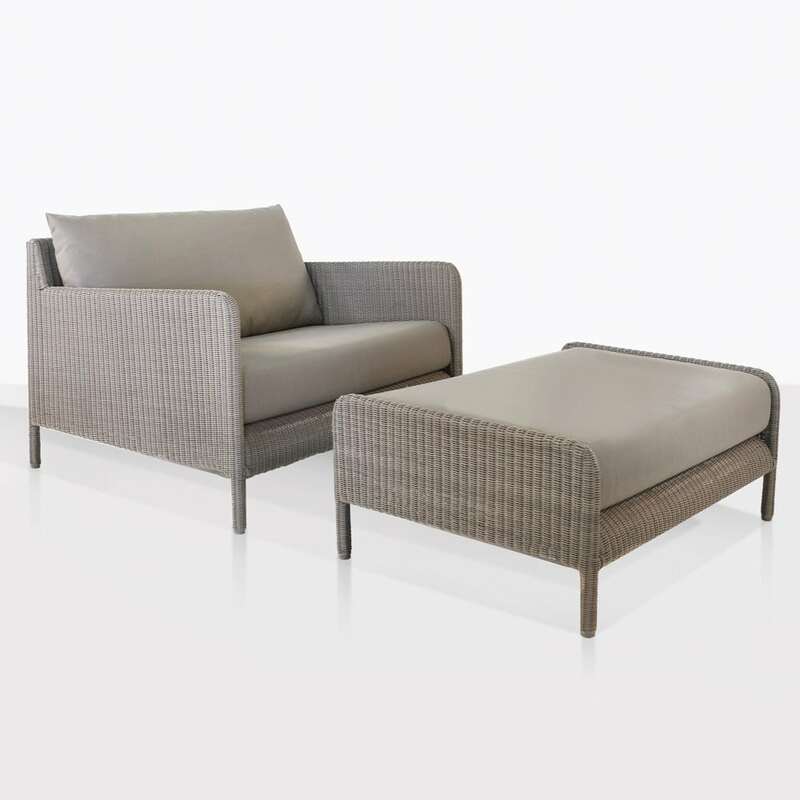 The taupe cushions are made with Sunbrella® fabric and are large and wide for maximum comfort. The Zambezi collection also offers a matching sofa and coffee table. Shown here is the pebble wicker with taupe cushions, we also carry the same pieces in chalk (white) wicker with canvas Sunbrella® cushions. The Zambezi collection is unique from other traditional wickers collections because of its shape and style. 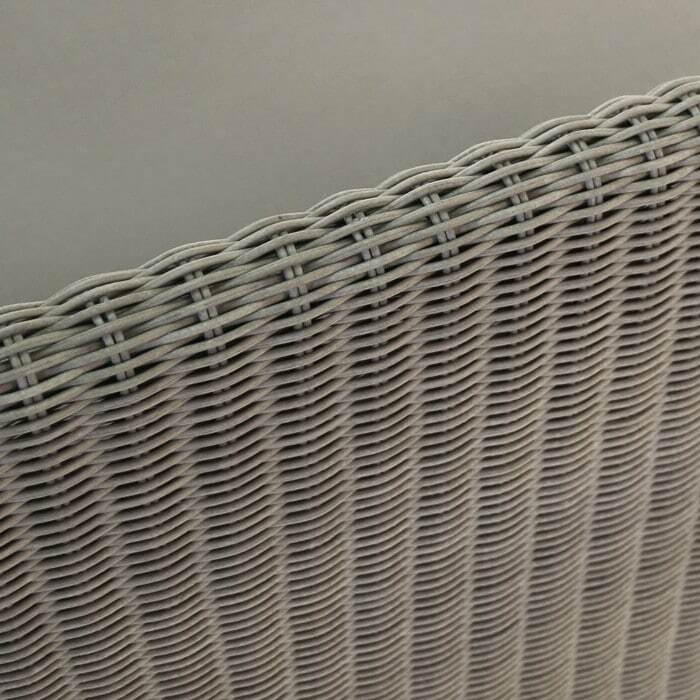 The depth and width offer more room than most wicker chairs. The straight lines and slight curves of the arms add a more modern feel. The style is both masculine and feminine and appealing to many different tastes. We love pairing some of our wicker pieces with other materials such as a reclaimed teak accent table. We look forward to helping you create a unique look for your outdoor space. Call or email us today! 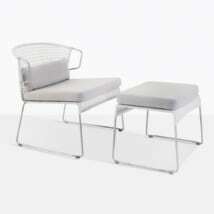 Or stop by our showroom to see our entire outdoor collection.